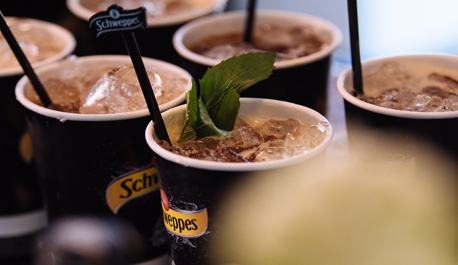 Head to the Schweppes x Tanqueray Bar to enjoy a range of refreshing Schweppes Signature Series cocktails. 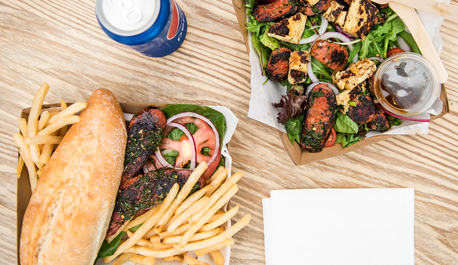 Satisfy your hunger at Royal Randwick’s foodie precinct, featuring some of our favourite food trucks including Trinhy’s & Nathan’s Hotdogs. 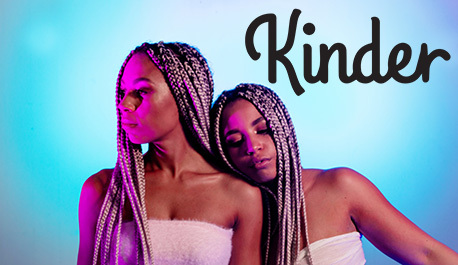 Get your boogie on and party the day away at the Bandstand featuring Glenn Cunningham, Party Rock People & headline DJ set by Kinder. 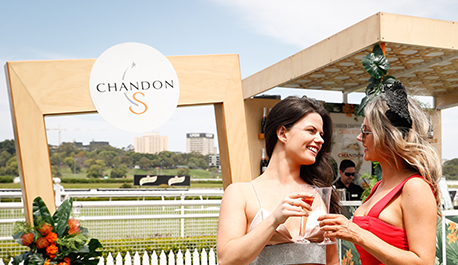 Head trackside to share a celebratory cheers with a glass of Chandon. Why not try a refreshing Chandon S for a twist on sparkling? 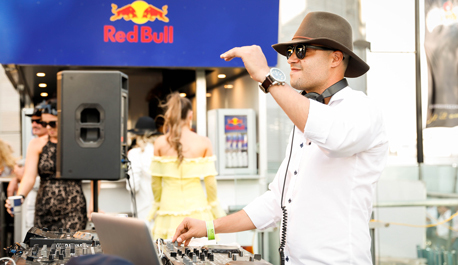 Enjoy a range of Canadian Club beverages & dance to the beats of DJ Gaz Kempster at the Canadian Club Giddy Up Club. The TAB Bet Barn is autumn’s newest addition. 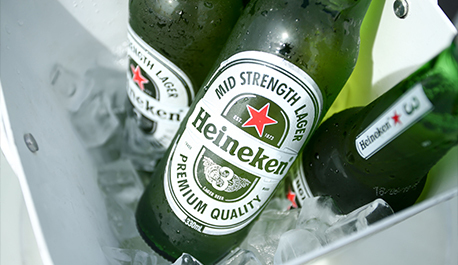 Featuring a Heineken Bar and special viewing platform, it’s the perfect place to spend the day. 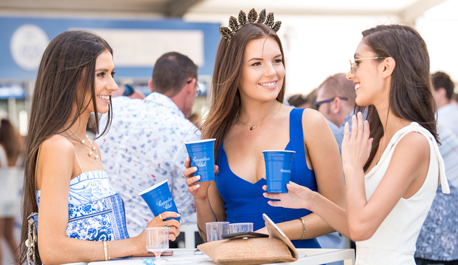 Located trackside the Heineken Shannon Bar will feature Heineken VIP lines all day to celebrate Heineken as the official beer of Royal Randwick. Head to the Red Bull Race Club at the Truck Stop to re-energise with a Red Bull. 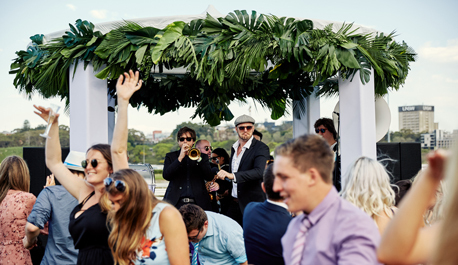 Revel in the race day festivities with live DJ spinning all your favourite tunes. The Bandstand at The Mews from 4.25pm and 5.05pm. 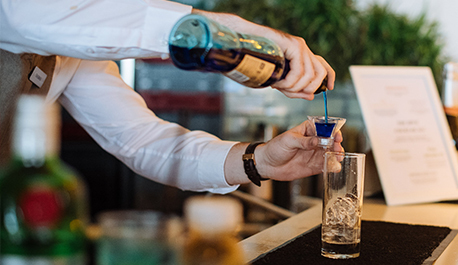 Try the limited edition Winx Blue Cocktail, with Tanqueray Gin, Blue Curacao, apple juice, lime and Schweppes lemonade, available from select bars. 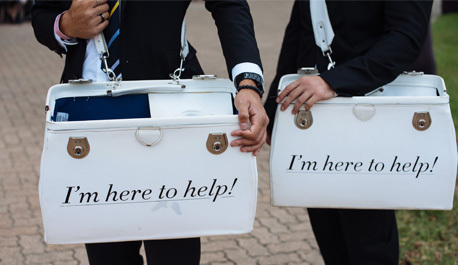 Our Gentlemen Here To Help will be roving the track throughout the afternoon with bookie bags full of the race day essentials for any fashion emergency. 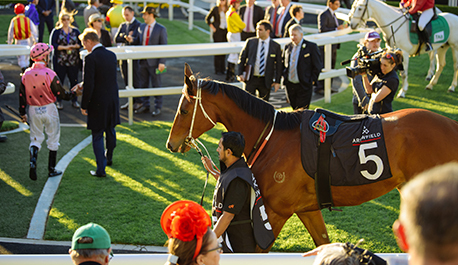 The Theatre of the Horse is the ultimate mounting yard viewing experience to assess the way a horse is prepared and ready to race. 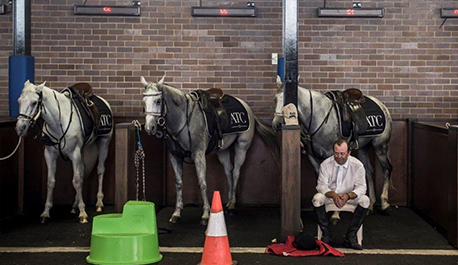 Witness thoroughbreds preparing to race. The day stalls it the place to get up close to the stars of the track throughout the day! 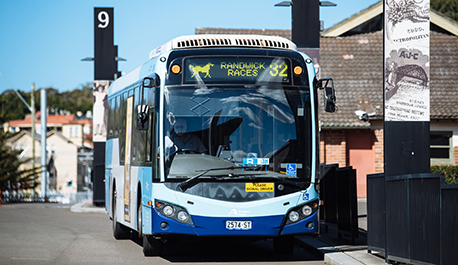 All event tickets include travel to and from the races on Sydney trains, buses, ferries and light rail services so leave the car at home and use public transport. 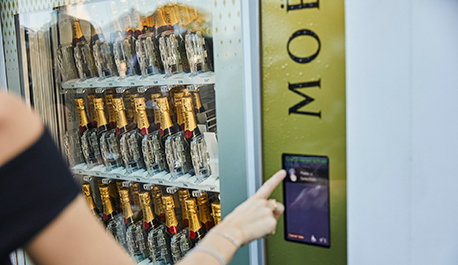 The Moët & Chandon Vending Machine & photo frame are back. Celebrate the style and elegance of the day with a glass of champagne or enjoy a Moët mini in the most exciting way. The Aviary is back on the Members Lawn. 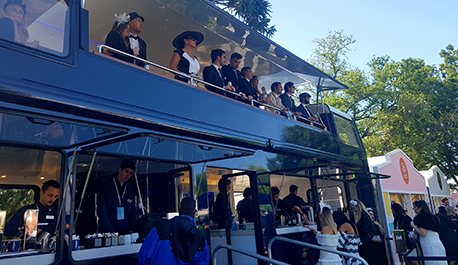 Soak in the race day atmosphere with the bottom level of the double decker bus serving drinks all day! 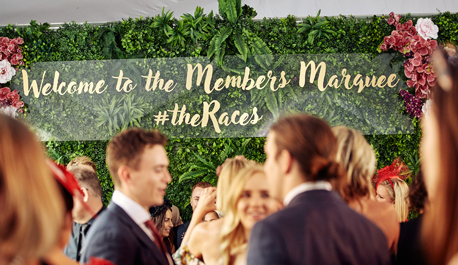 The Members’ exclusive marquee is back for autumn! 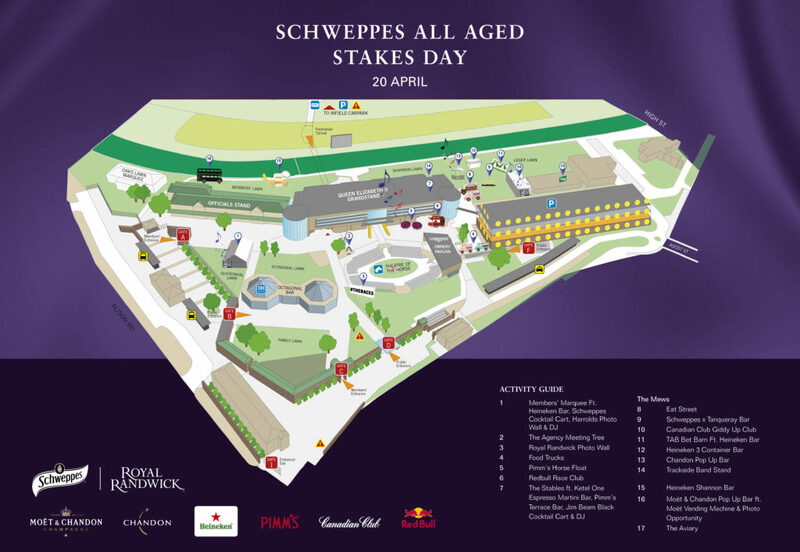 Close out a day at the races with the Heineken Bar, Schweppes Cocktail Bar and a live DJ in the afternoon. 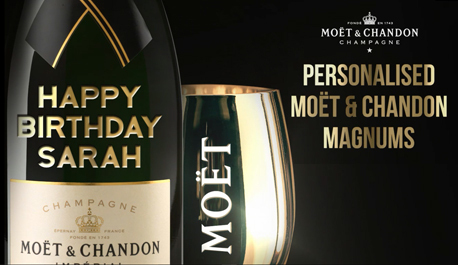 Pre-purchase and impress your friends with a personalised Magnum and gold goblets to toast the day! Click here to book. Gather all your friends and head to the Ketel One Espresso Martini bar to enjoy a delicious espresso martini on tap. 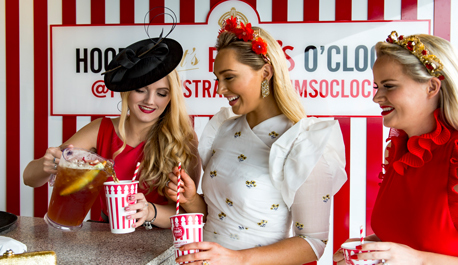 at The Stables to celebrate Pimm’s o’clock with friends by enjoying a refreshing cup or jug of Pimm’s ! 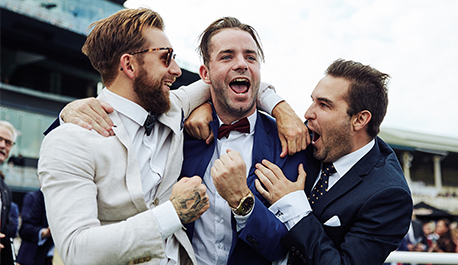 Stables to close out your race day in style. 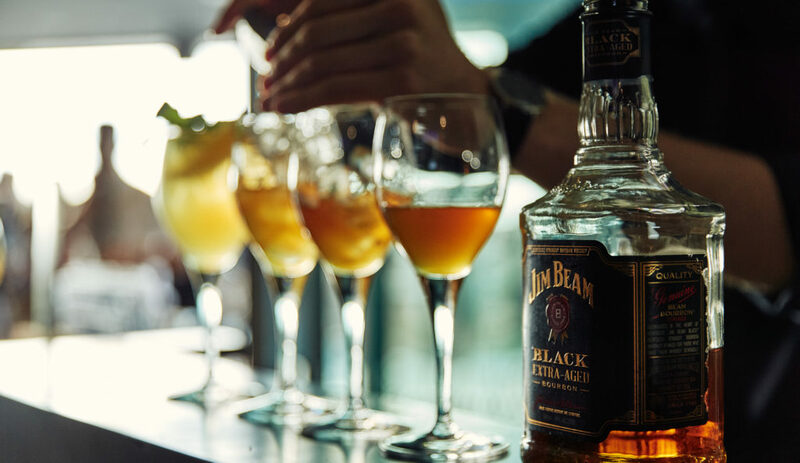 New to The Stables, the Jim Beam Black Cocktail Cart will be serving two exciting cocktails: Jim Beam Black & Ginger and Kentucky Spritz. 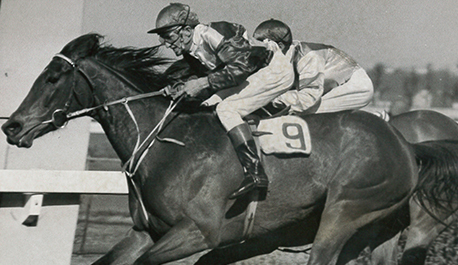 Head to the Skyline Room for a display to commemorate 90 years since Phar Lap won the Derby, and the 40th running of the Royal Sovereign Stakes.